Salut! Sunderland: No Koeman, Pochettino long gone but what do you make of Southampton’s chances of maintaining the progress of recent years under Claude Puel – and especially of emulating last season;’s admirable sixth top finish? Alan Copps: Losing RK was a big blow and a bit of a shock so soon after the Top Six celebrations, but money talks! I think top six is a tall order this year. Puel’s got plenty of experience but a lot of teams who might jostle for that spot like West Ham and Stoke have strengthened and those like Liverpool, Everton and Chelsea who seriously underperformed last season seem to be learning the lesson. We’ll also have the Europa League distraction later on which will be a new experience for most of the squad. If I supported your team, I’d be concerned at the loss of Wanyama, Mané and Pellé, unsure about Redmond but pleased to have Jojbjerg from Bayern. How did you rate the close season changes? I think the one we’ll really miss is Pelle – he didn’t just score he was a real physical presence, a good hold-up player. Redmond and Hoijberg have both been impressive in the first two games. Like most fans I still think we need another striker. The official line is that Charlie Austin was bought in January to replace Pelle, but if that’s so why has he been a sub so far? Obviously not too much can be read into what happens in the opening game but were you surprised only to draw one you’d have been expected to win (Watford at home, followed by a more predictable defeat at Man Utd)? It was a bit disappointing, but it reinforced my view above. They’ve got a heavyweight defence and without Pelle our attack looks a bit slight physically. Also I think Puel’s favoured diamond formation is going to take a bit of getting used to. 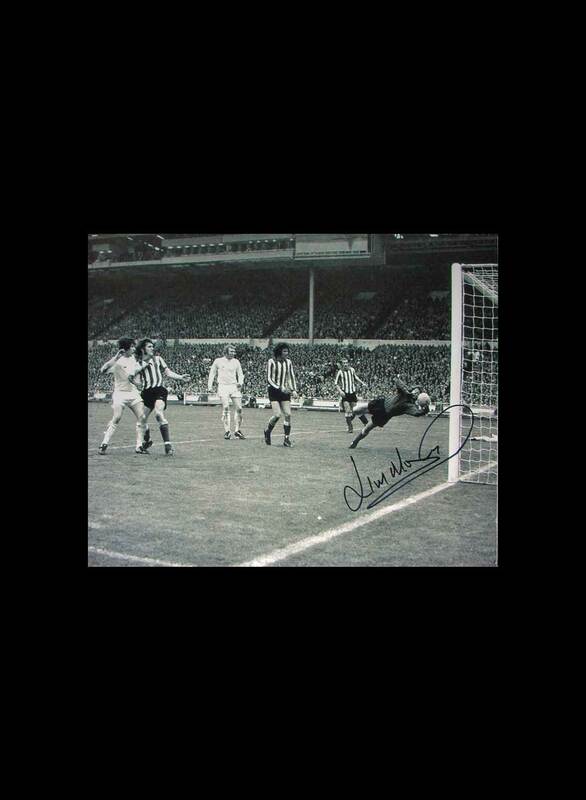 This may seem surreal but how aware are you that plenty of Sunderland supporters think we were robbed, if only a little, when you won 8-0 (cast-iron penalty claim + inevitable sending off for your keeper when we were only two down and arguably the better side)? I didn’t know that but the faith of fans against all odds is what makes going to matches, rather than watching on TV, so entertaining! Also I seem to recall that the top scorer in that game was “og” with a hat trick! Back to reality: who will be key to your prospects this season and where are there weaknesses in the squad? I’m worried about the rumours around Jose Fonte moving to Man Utd. He really is the key to our defence. We’ve got lots of talent in midfield but see my answer above about the attack. What will be the final top four in order and where, if not in it, will Saints finish? I think it’s going to be back to reality for the Premier League. Two Manchesters, difficult to choose between them, Chelsea and Arsenal. Saints eighth or ninth but a good Europa run. Same question re the bottom three, with a likely position for Sunderland if not relegated? Really difficult to call. Burnley just don’t look strong enough over a season despite their good result last week. West Brom also look seriously weak and I wasn’t convinced by Watford once we got going. I guess predicting another close shave for Sunderland is a bit of a cliche – 13th, 14th? Do you ever miss the Dell and the way football was run in the past? Yes, it was great to be so close to the action, the atmosphere was always tremendous. However, you’d be very hard pressed to find a Saints fan who regrets our last change of ownership. The Swiss may not be big spenders but they have got a very practical attitude which was hardly the case in the Rupert Lowe era! 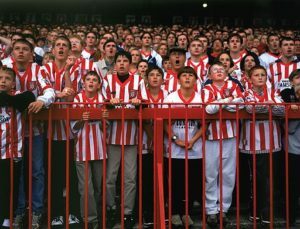 Southampton’s modern history is a mix of different sets of exceptional squads, an alarming descent and brush with bankruptcy and then a remarkable revival to where you are now. Best and worst of it for you? See above! Cup Final 2003, followed by relegation two years later and then a descent into chaos while we sold all our best players, lost in the play-offs, sank to League One and went bust! There’s never a dull moment following the Saints. Now is the best time. If not dealt with in the previous question, who are the pick of the greats of the past (too long a list to include in a question)? The greatest has to be Le Tiss, just magical at his best. We’re still wondering why he didn’t win more England caps. His loyalty, too, will probably never be matched. 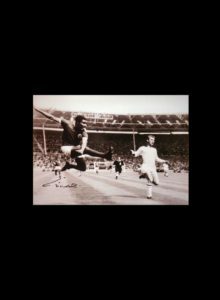 My other great would be from way back: Terry Paine, brilliant old-fashioned winger, more than 800 games and 180 goals. 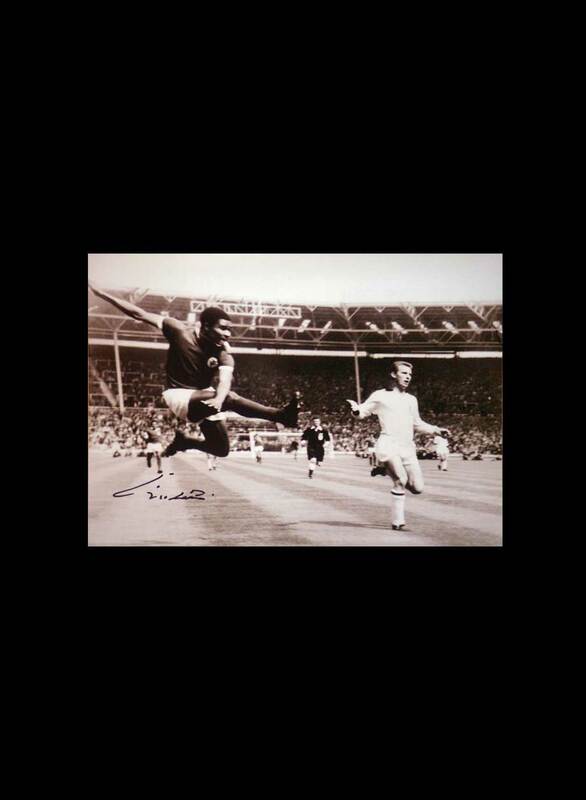 He was in the ’66 World Cup squad but didn’t get a game, was still playing in ’74! Turbulent times at the club were accompanied by the discovery of some of England and Wales’s best young talent (Walcott, Oxlade-Chamberlain, Bale). How big a regret that Southampton had relatively little service from any of them? Big regrets – they all turned up just as the club was dissolving! When you look at Defoe staying at Sunderland despite all the flirting with relegation, you wonder why we couldn’t have hung on to any number of players a bit longer. 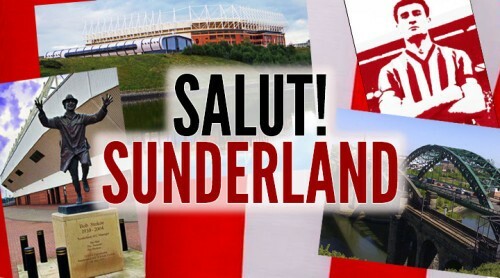 Any thoughts on Sunderland – the club, support, city, region, Moyes? I think Moyes is the right kind of manager for Sunderland. His great skill at Everton was making the best of limited resources. He should appreciate the loyalty and fervour of your fans. Can you think of anyone in our squad who would be a worthwhile addition to yours? 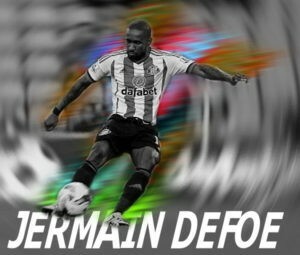 See above re Defoe, he’s a real class act. Janazaj is good news, too. Diving and other forms of cheating: everyone’s at it so is it time we stop whingeing and just encourage our players to do it better? If not, how one earth do we stamp it out? Good question that! It can spoil a game but some refs seem intimidated by player protests. Any views own best ref/worst ref in the Premier? I just wouldn’t want to be a ref – only one of you, paid a fraction of what even mediocre players get and any mistake so much more obvious. What a job! Sadly, I can’t make it, but we need a win. 3-1 to Saints. 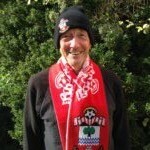 Alan Copps on himself: First saw the Saints play at the Dell in the early 60s. My mother was born in the town very close to where St Mary’s now stands and I was taken along by an uncle. Then went as often as possible through teens and twenties until work, life and kids got in the way. I became an armchair supporter until waking up to the threat of relegation and bankruptcy and decided they needed my support in person again. After 50 years as a journalist working for local papers, The Telegraph and The Times, I now freelance from my home in Kent and take it in turn with a number of other ‘long distance’ supporters to occupy a seat in the Kingsland Stand next to the noisy ‘Northam boys’. 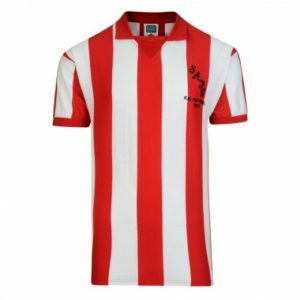 Tags: Colin Randall, Matt le Tissier, Premier League, Southampton, Sunderland A.F.C, Who Are You?